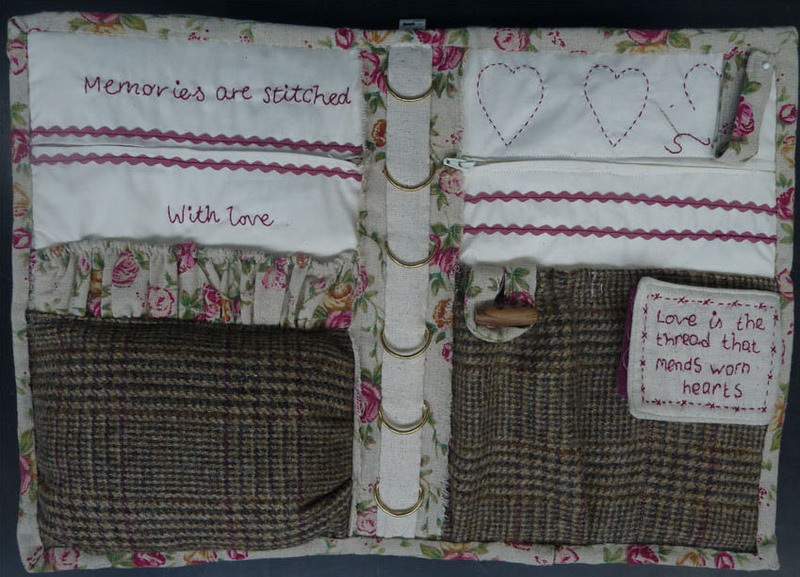 A really useful tweed sewing case pattern for all your sewing kit. Made from wool tweed, calico, Osnaberg and Burlap ribbon. There are pockets for pens, pencils and rotary cutters a large pin cushion, needle case and safe storage for glasses, mobile phone and keys as well as scissors and 'D' rings for your embroidery threads. This sewing case is also available as a kit.